During the winter months every woman wants to look at her best. There are abundance of beautiful winter and cold weather accessories to look beautiful and overwhelming other than the commons like scarves, gloves and hats. The dressing up in the winter is all about change in style. The stylish boots, stoles wrapping in the neck, shawls, weatherproof jackets, long coats with large round buttons and waist belt and every other stylish apparels with their colors, designs and textures are going to change your entire wardrobe as winter is approaching. Your multi-dimensional fashion statement becomes completely different from the rest of the year. Women winter wears are considered as worthy investments that do not go out of style easily like other fashion accessories. Wear stylish and fashionable clothes in winter not just to stay warm but to look more chic and fashionable. Kashmiri Shawls it is Sultan Zain-Ul Abidin (1420 to 1470 AD) who is remembered as the main architect of Shawl industry in Kashmir. 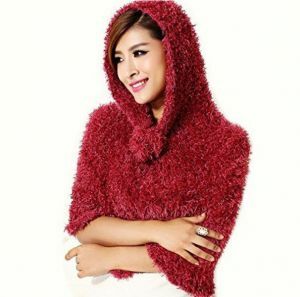 Women Pashmina Shawls made from the furs of mountain goats are valued as a good long term investment. Winter clothes and jackets usually have two parts that are stitched together. Some of the top women's brands use nylon as inner layer and add thick and warm thermal insulating materials. The quality of thermal insulation has significant impact on the thermal comfort. Wearing a stole is an excellent fashion idea, especially in winter. A stole is more like a slim width women's shawl that is worn around the shoulder and it goes perfectly well with jeans or pants and shirt combination or even with gowns. It is similar but narrower to shawls that are used with sarees. Stoles are made up of many different fabrics like silk, fir, woolen, etc. If you want to add life and colors to your winter fashion visit Rediff Shopping and browse through our extensive range of Women's Winter Wear categorized in three groups-- Shawls, Jackets for men and Stoles. This is the perfect place for a high value product at affordable range. 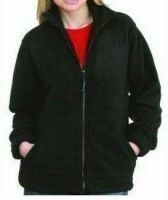 Shop at Rediffs extensive range to find every latest design of womens winter wear in shawls, stole and winter jackets.